I'm Nicola. Could somebody please tell me more about this site? What it is about etc, It looks good, and I am in need of support also. 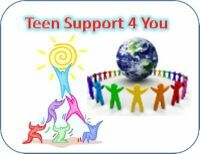 We are a support site, here for people to talk to and we are here to help them, through any thing they may be going through, for example, bullying, family problems etc. Can I become a Moderator or LiveHelp Operator? I would love to be a LiveHelp Operator or Moderator and can give a lot of time into it. I like supporting other people, and seeing as I live in America, I would be able to do different times, as you are from the United Kingdom. please can I be a Moderator and LiveHelp Operator?